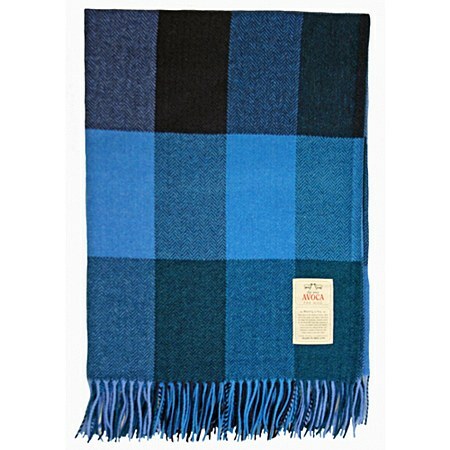 A beautiful blue and black check Donegal Throw with fringed edging from Avoca. The Donegal yarn consists of a base colour mixture of up to six individual colours with up to sevan or eight contrasting solid fleck along the surface of the yarn. The skill and craft in producing this yarn lies in the ability to attach the fleck while keeping the solid contrasting features of the fleck intact.